Christians in Rochester and Buffalo have united to replicate Rochester’s abortion reduction success in Buffalo. Three pregnancy centers in Buffalo (Northtown Pregnancy Center, Southtowns Care Center and Buffalo Pregnancy Care Center) have all unanimously decided to let CompassCare adopt their organizations. The goal is to reduce abortions in Buffalo by 50% in 5 years. 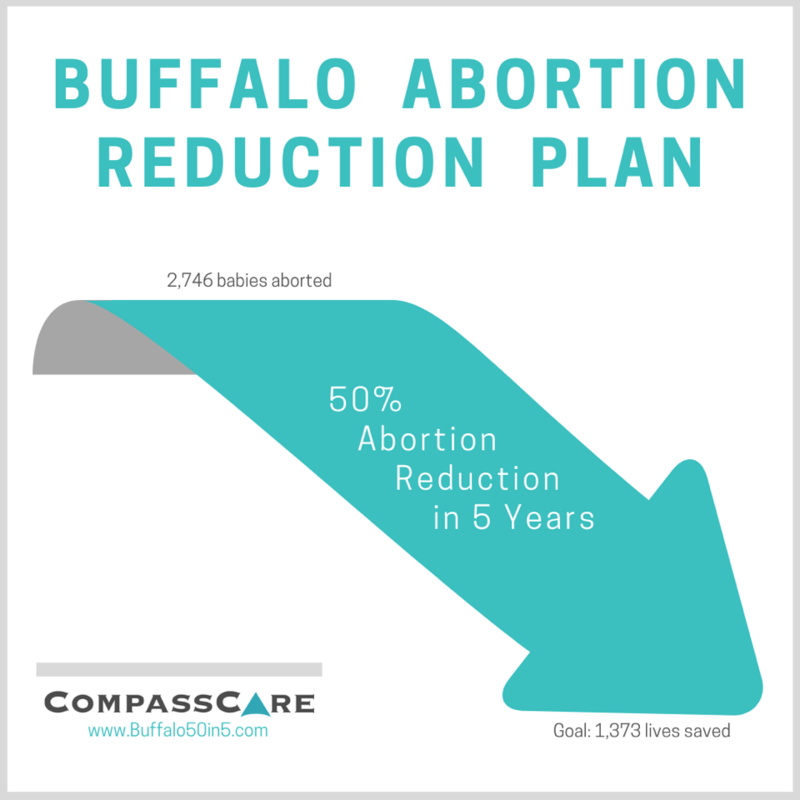 The plan is to consolidate the resources of all three centers into one center city location under the direction of CompassCare, enabling pro-life Christians in Buffalo to reach and serve 25% of women considering abortion, any given week. You can leverage your pro-life passion to make real, lasting change. In New York’s politically tempestuous climate, we have an opportunity like never before to Erase the Need for Abortion, one woman at a time. Please consider praying and giving to cut Buffalo abortions in half over the next five years. Join Northtown and Southtowns on May 9 at the Buffalo Grand Hotel for the first event of our newly consolidated organizations. The pro-life community of Buffalo is uniting. You won’t want to miss it! The first-year of the 50 in 5 abortion reduction plan will cost an additional $281,000, over and above general operating expenses. What can you contribute to reducing abortion in Buffalo?